Høyergruppen AS is one of the oldest Norwegian shipping companies, with origins back to 1816 when Niels Pedersen established a tradinghouse in Skien. Over the years Hoyergruppen AS has endured, adapted and evolved to its present profile: a dynamic, versatile and competitive player in modern shipping business. With extensive knowledge, vast experience and attention to details, we are able to offer our clients tailor-made and innovative service: a complete transport package. Over sea, land and air – we can do it all! In summer 2010 Høyergruppen AS started a new project called Hoyerpool which is a pool of vessels trading mainly in Northern European waters. The intention was to create a pool system which consists of vessels with a “greener” profile. All vessels are, or are planned to become ISO 14001 certified. Tonnage size ranges from 3000 MT DWCC up to 4700 MT DWCC. Today Hoyerpool has 20+ vessels running in the pool, but is always looking for new members with suitable tonnage. Your inquiries are most welcome. Our experienced and highly motivated staff in the chartering department are at all times ready to meet every customers demands with commitment and dedication, in order to resolve and find the best possible solution for any of your transport requirements. The port of Grenland is a busy port and the largest in Norway in terms of turnover of goods; abt. 10 000 000 tonnes per year. Our agency department attends the majority of both public and private quays in the region, which facilitate bulkterminals, LoLo/RoRo-terminal, LPG/LNG, grain siloes and general cargoes/breakbulk. 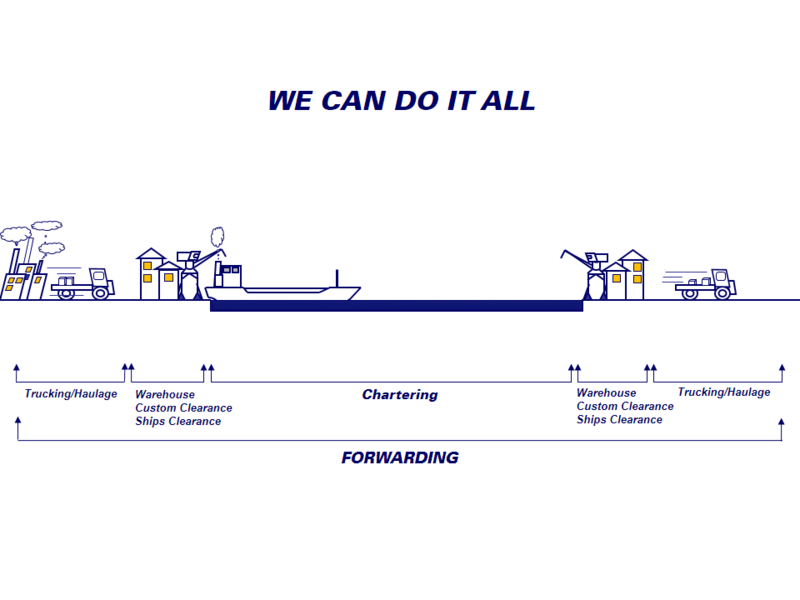 In average, the port is being called upon by some 3000 merchant vessels per year, and our agency department is available around the clock, ready to provide their first class services for an efficient turnaround of vessels upto 150 000 dwt – which is the upper limit for vessels entering the port of Grenland. With local knowledge and broad experience, our multilingual staff is from their strategic located offices able to meet most requests at very competitive rates. For inquiries regarding port restrictions, proforma disbursements or general information please contact agency@hoyergruppen.com. We are also through our affiliates represented in the ports of Larvik and in Kragero.